Home › Nutrition Tips › Cook Slow – Live Fast and Get Healthy! 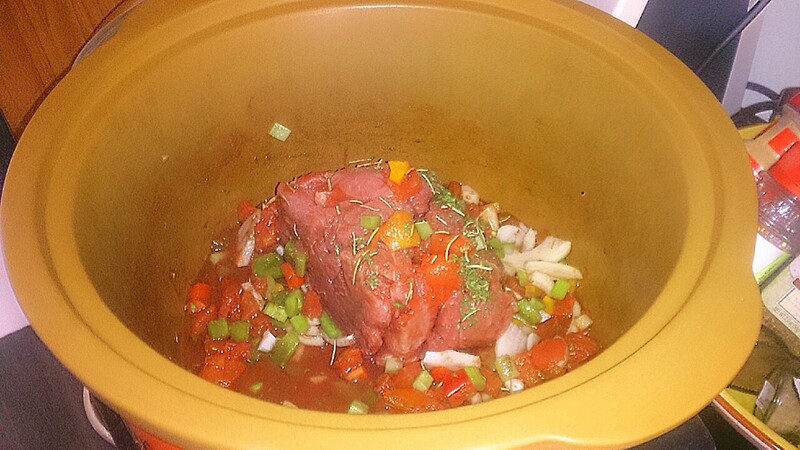 As a busy Mom of toddler twins who is committed to a healthy living program for our household my slow cooker is a complete lifesaver! People may think of slow cooker dishes being filled with fat and cream of (insert your choice here) soups as a base but it has come a long way and I make many healthy meals per week that we can serve up fresh at night and in many cases freeze left overs so on those nights things have been busy or you are just plain over cooking we do not have to revert to processed or fast foods to put a meal on the table. So other than saving time and being able to have ready access to healthy meals in your freezer what other benefits can a slow cooker give your healthy lifestyle and achieve the goal of ‘Winning at Wellness”? Control the amount of fat into your meals: You need less oil due to the slow cooking liquid process and nonstick surfaces. I more often than not have to use only an olive oil spray. You can use tougher cuts of meat because the slow cooking process tenderizes the meat and tougher cuts tend to have less fat. Up the Nutrients Per Meal: You can add many extra vegetables to a slow cooker meal and increase the nutrient and fiber content of each meal. You don’t have to follow a recipe for how many vegetables they say and for example whenever I cook a tomato based sauce I will had a few handfuls of baby spinach towards the end of the process just before serving. Also you don’t loose as much nutrients as you think because even though you cook for a long time it is not a high heat so more is retained in addition to more nutrients leeching into the sauces that subsequently are made from the slow cooker. Control what you are eating: It is a great way to eat whole foods and control additives as you know exactly how much salt, sugars and calories are being added.